Use cutting-edge data management technology to upload, secure and share important farm information with those who need it. Upload data manually and automatically via the cloud for a complete view of your operation’s performance. Share selected data — by farm, field or field operation — with trusted partners based on your needs. 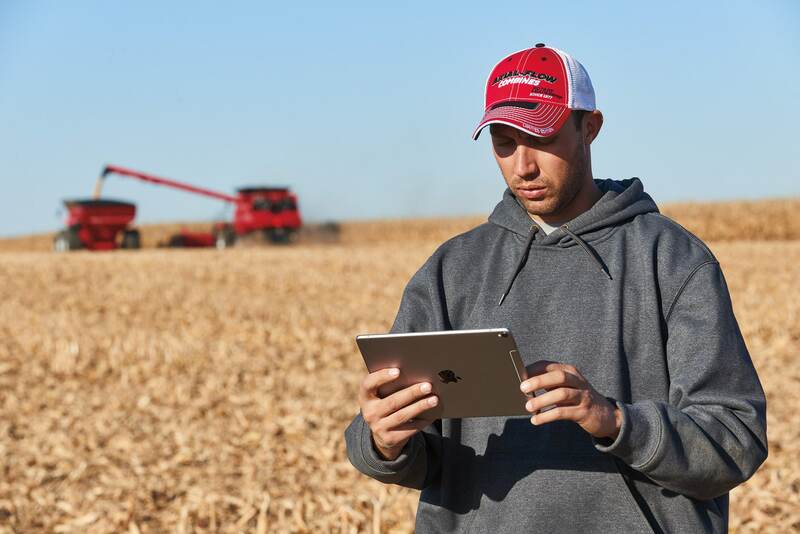 Securely share your farm data from anywhere. Your information is available to you through the easy-to-use interface on the AFS Pro 700 or AFS Pro 1200 display. The CNH Industrial Developer Portal allows companies to establish secure agronomic data exchange for customers who own and manage Case IH farm equipment. The site serves as the entry point for companies requesting online application program interface or offline methods of data exchange. Any software service that does not already have a connection can get started online.